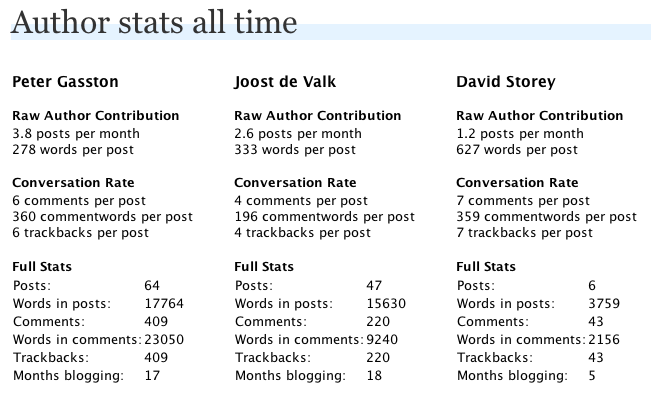 By using these metrics, you can determine which of your writers are performing the best, who’s writing the most, who gets the most comments and which types of content are the most valuable. 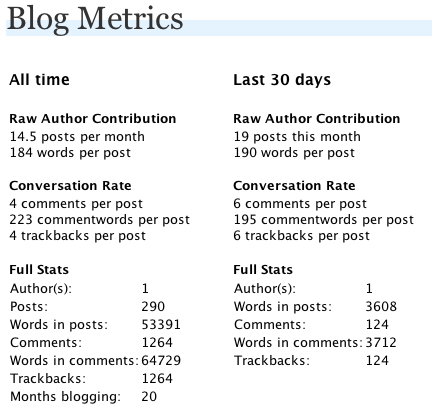 These will help you determine the best course of action for your blog. Be sure to combine this kind of analysis with analyses from for instance Google Analytics to get the maximum result. You can use e.g. the Monster Insights plugin to make Google Analytics tracking on your blog easy as can be.